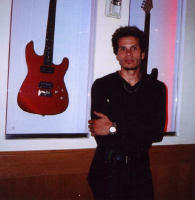 Jeff Scott Soto interview December-2002. 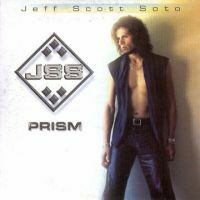 Jeff Scott Soto has a career that is extraordinary - despite his young age he has been able to participate in several melodic rock key bands and on several key albums. But with over 15 years of rocking hard behind him, "Prism" is only his second solo album. Jeff moved from his first major job with Yngwie Malmsteen in the mid 80's and recorded with many projects & bands through the years, honing & perfecting his melodic style. 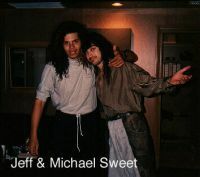 From Eyes, Takara, Talisman, Axel Rudi Pell, Kuni and many other appearances providing background vocals on several major releases throughout the 80’s & 90’s, Jeff realized it was time to move on and try his woth on his first solo album in 1994, called "Love Parade", where he produced, wrote & performed nearly all instruments himself. Read on and get some info on why this is the time that Jeff has decided to concentrate on himself for a change - in the making of a new CD "Prism", where he has returned to his melodic "roots"! Q: You have just released a new CD called "Prism" how will you describe that melodic record - compared with your previous work? A: "Prism" is just another extention of what I do & what I’ve done. I’ve been through a lot of musical highways & the one that seems to be an overall favourite amongst longtime fans is the melodic rock stuff so i decided to give them a JSS album they would cherish in the genre I get the most notariety for. Q: On "Prism" even that the CD is melodic, you sing with a lot of power! How do you see the songs on the new album? I.E. the opener "Eyes of Love" is very powerful - but later there are some heart wrencing ballads, too! A: I think it has a good enough variety in range, of course, naturally I like to experiment with groove, soul & funk but that wouldn’t have worked on this album. I knew I had to keep it within the boundaries of how the majority of the direction it started in. Q: Can you describe the work proces doing this new album. How did it start how did you get the musicians to participate.. and did it turn out as you wanted. Is this how Jeff Scott Soto will sound at the moment? A:It started with me recording the entire thing myself, in my home studio, performing all the instruments as I wrote & worked up all the songs. From there, I flew to Florida, where my drummer Alex Papa lives, & had him play over all my tracks, replacing the programmed drums. Then I started the overdub process of having all the players come in & add or replace my original demo tracks. It was quite easy & made it so there was a blueprint for the others to work on their bits prior to coming into the studio. This album is a reflection os how I felt should represent my next solo endeavour. Q: Your "Prism" album was compared with the sound of your work in Takara and Eyes in several magazines - how do you think of what? A: I think I answered that earlier...I get lots of praise for those earlier works so as long as the quality of the music is there, I don’t mind the comparisons at all...at least they’re comparing to my own work & not someone elses! Q: How about yourself? What are you up to these days? 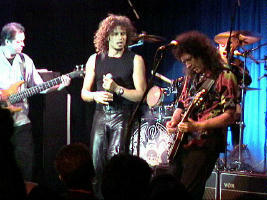 And how about a tour and the future forJeff Scott Soto - both as a band and as a solist! A: I’m planning a worldwide tour & will go out as long as I can. Actually, we’re looking at going out sometime in January 2003 & I will have Howie Simon (guitar), Gary Schutt (bass) & Alex Papa along with me on the road. Next after that will be the release of the new Talisman album in the Spring (Frontiers Records) & a possible Fall tour with them. Keeping very busy as usual. Q: And where do you live at the moment? You have always been there on some of my favorite records like Eyes, Malmsteen and Talisman from the USA to (especially) Sweden do you see yourself as a citizen of the world? That goes for your musical influences, too! You are very convincing both doing hard rock as well as melodic rock. A: I live & have always lived in LA. It’s always been home & since all my family & friends are based here, I don’t think I would ever relocate. But as I’m pretty much jetsetting all the time anyway, you could say I was a ’citizen of the world’...I like that! Q: What are your main influences in music and now that you are an established vocalist you must be the influence to many young newcomers - how did you start up in the first place? A: My main influences vocally have always been Freddie Mercury, Steve Perry & Sam Cooke (60’s soul singer). Musically, I love Prince, Van Halen & Queen for the energy & versatility. I’ve been singing since I can remember talking so I always knew I would chase this dream of being a famous singer...believe me, i’m still trying & have a long way to go! It’s very inspiring to hear that I’ve influenced new, young & upcoming singers...it’s an honour as much as I’m sure my influences felt the same way when they realised how many they passed they’re influences onto. Q: Thanks for your answers - hope to see and hear more from you in the future!